Massey University’s Diploma in Meat Technology is sought after by employers. If the meat industry is to remain competitive, a scientifically and technologically trained workforce, particularly supervisors and managers are vital. This qualification gives you the skills needed to lead the industry. Massey University’s Diploma in Meat Technology is for those working in the meat industry as a process supervisor, foreperson or skilled process worker, and those that aspire to be a plant manager, production manager, meat marketer, or compliance manager. The programme will increase your technological and scientific knowledge so you can make informed decisions to improve process efficiency and product quality and ultimately enhance or maintain company competitiveness. The Diploma could also be a good way to get meat industry specific knowledge if you have a non-specialised degree or have previously worked in a different industry. Massey University offers the only Diploma in Meat Technology in New Zealand at NZQA level 5 and one of only two such programmes in Australasia. We have been teaching meat technology since 1968. The DipMeatTech is offered via distance learning with short contact workshops ,which are on-campus sessions at the Massey University Manawatū campus. Lectures are delivered both at the contact workshops and are recorded so that they can be watched at a time that suits you. The diploma includes field trips and practical work in laboratories, both of which take place during the contact workshops. There may be a possibility for contact workshops to be delivered in other New Zealand centres, dependent on student numbers and geographic location of enrolled students. Our staff have many years of experience in the industry and can draw on colleagues’ expertise across Massey University’s Institute of Veterinary and Biomedical Sciences, School of Engineering and Advanced Technology and Institute of Food Science and Technology. In 2016, we introduced a course that provides an introduction to automation, new technology and current research projects in the international meat industry. Learn about pertinent new topics like machine sensing and image processing, the use of robots in the meat industry, research to improve meat tenderness, factory farming and faecal detection. We have listened to industry feedback and reduced the amount of time you need to spend at the Manawatū campus. There are two contact workshops per course, one at the start and one at the end. The closing contact workshop ends with a three-hour morning exam. On the afternoon of the same day, the following day the opening block course of the next course starts, cutting down on accommodation and transport costs and time away from work. The diploma’s first three courses are for students who have not studied mathematics and science at senior high school or tertiary level. These bridging courses ensure you will have sufficient understanding of mathematics, chemistry, physics and biology for the Part 2 courses. The diploma can be completed in two years. You must complete six of the seven second and third-year courses. Three of the courses are compulsory. Each course is offered once every two years. There is no set order in which the courses need to be taken. "My manager suggested I do the course; he had already done it. The diploma is quite well known in the meat industry and highly recommended for those who want to further their knowledge and career. I already had an overview of the business but my study has meant I’ve gained a much deeper understanding of what we are doing and why we are doing it. I’ve been able to implement knowledge from my refrigeration paper; and also changes to yard design and receipt of livestock, which have meant the animals are less stressed before processing. The next project we’re looking at is areas for further processing and adding value to the business. We’re always trying to do things smarter and sharper. I’m keen to become a plant manager one day. I found studying at Massey to be a great experience and a good environment to learn in. Fitting my study around working full time was hard at first but once I got into a routine things became easier. As a student who had been out of the classroom for a long time, I found the block courses a good chance to fully focus on the course." More than 40 per cent of the managers of New Zealand’s export meat processing plants are Diploma of Meat Technology graduates. More managers are retiring than there are students graduating, so the skills you gain from this qualification will be in-demand from the industry. Potential roles include plant managers, production managers, meat marketers, compliance managers and process supervisors. 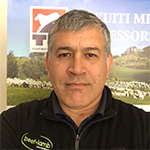 Diploma director Richard Forgie has 21 years’ experience in the meat processing industry. He has a background in meat industry management, economic development and frozen food processing. 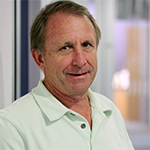 Associate Professor Brian Wilkinson has been at Massey since 1978. 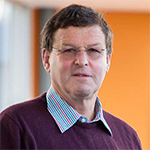 He has expertise in new food product development, and science and technology used to add value to meat products.